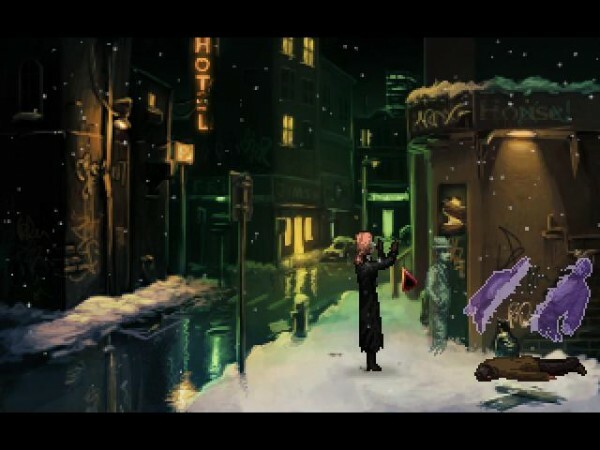 I've always had a soft spot for the point and click adventure game. Many of my formative gaming experiences were spent guiding the likes of Guybrush Threepwood, Zak McCraken, Bernard of Maniac Mansion fame, and others through a variety of bizarre (and often dangerous) circumstances. 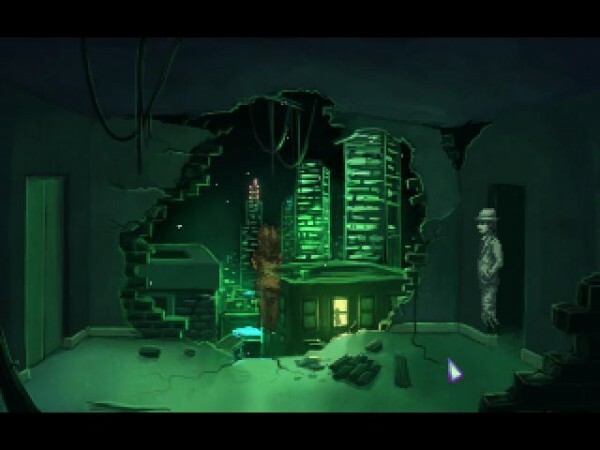 After a while, though, the technology and the tastes of the gaming audience at large changed and the point and click adventure fell by the wayside with depressing rapidity. 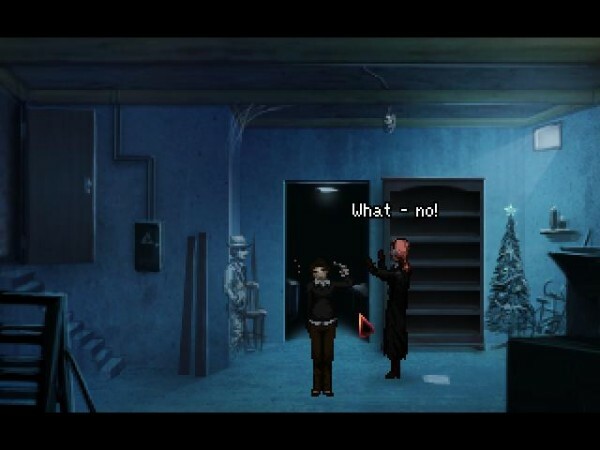 In the last few years, though, this type of game has enjoyed a resurgence with the advent of such games like The Walking Dead, Sam and Max, The Longest Journey, and last but not least Wadjet Eye Games's latest product “The Blackwell Epiphany”. When I get my hands on a new game, the result is an almost childlike excitement that I usually only reserve for my birthday, Christmas, or that day when I finally get that parade in my honor. Yet with The Blackwell Epiphany I could only feel a certain sense of sadness as I installed and booted up the game. This was it. The last game in The Blackwell series. No more Rosa, no more Joey, and no more party tricks with mystical ties. 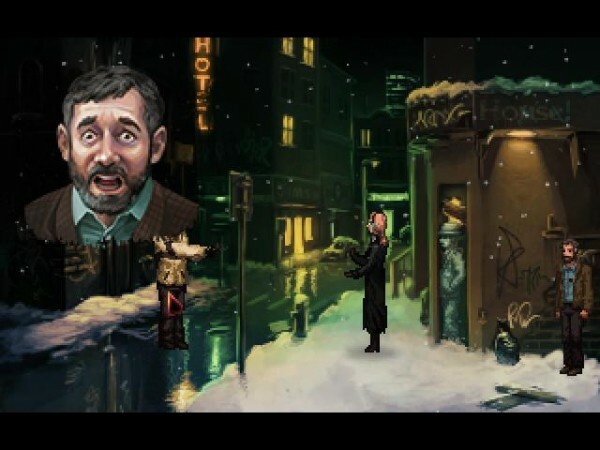 However once I started playing the sadness slipped away to be replaced by an enraptured feeling because, and I know it's early in the review, this game is one of the best point and click adventure games I have ever played. What most stands out about this game is how much of it is a testament to the evolving nature of the series. The city streets feel more alive with cars traversing to and fro, people moving through their apartments in the background, and a lot of other impressive technical tricks that range from the small to the large. It may not stack up to the AAA games in terms of sheer graphical power, but the care and attention to detail is obvious and is one of the many things that make the game great. The auditory quality hasn't been improved overmuch, but this isn't such a bad thing as everything from the voice acting to the musical quality retains the same quality to which fans of the series have become accustomed. This is accompanied by very high quality writing, some even suggested by the fans and included into the game by the developer. Whether it's a laugh out loud moment or a moment that will cause your mood to drop like a weighted stone-and there will be plenty of both- there will be no flaws that will cause that experience to be diluted. It should be clear by now that something very serious is going on and Rosa and Joey, and by extension you the player, have to think outside the box to get through this trial. This also leads to one of the best things about Epiphany and the Blackwell series in general; when it comes to puzzle solving all you need is to make Rosa walk and talk to gather information and then think about where the clues are leading you. Advancement in the game is not dependent upon finding that one object that may prove useful in the future but only if combined with one item or person at a later date. It's the people, living and dead, who are important…not what stuff you happen to find in your way. In the end it has to be said that The Blackwell Epiphany, while a brilliantly conceived game, is a very bittersweet experience especially in light of the ending. It is well written, with excellent production values, and a degree of heart and passion that supersedes the technical aspects of the game; these are what make the game sweet. What makes the experience bitter is the fact that all these characters I've come to know and…well, love over the course of the series will have no more new adventures. The ride is over but I've enjoyed every second. Joey. Lauren. Rosa. Nishanti. You will be missed, and that's all I've got to say. Go play it yourself.